With his signature common sense, quiet good humor, and brilliant customer service, Jim is the other half of the RBI phone answering dynamic duo! An Arizona native, Jim manages agent relationships for the East Coast and specializes in the RBI agent tools, especially the Agent Market Edge. Jim has been a licensed health insurance agent for over a year, and has worked at RBI for 3 years. An accomplished bassoonist, he is known around the office for his amazing musical skills. 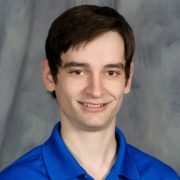 In addition to keeping busy around the office, Jim frequently contributes to our blog, bringing a new agent’s perspective to the RBI online presence. Get ready to jump head-first into your Medicare Advantage certifications! 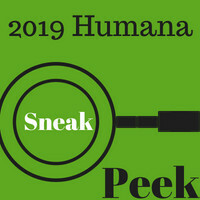 Humana recently launched their 2019 certification for newly contracted agents and will be launching the recertification early next week. External Agents will have until November 30th, 2018 to complete recertification in order to collect renewals. If you have not completed your certifications by Nov 30th, 2018; Humana will not pay renewals for 2019. 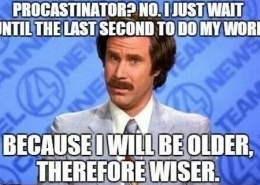 Don’t wait to finish your 2019 certifications until the last moment! By the time September rolls around you should be finalizing your MAPS Marketing Plan for the upcoming Annual Enrollment Period. 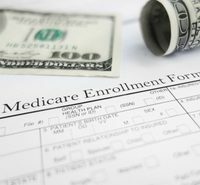 Click Here for the latest information on Medicare Advantage certifications as they’re released! Check out this article from RBI Sales Coordinator, Jim Gramp, AKA the Medi-Gramp, to see how he prepares for AEP. 2019 certification for newly contracted agents will launched on July 11th, 2018. 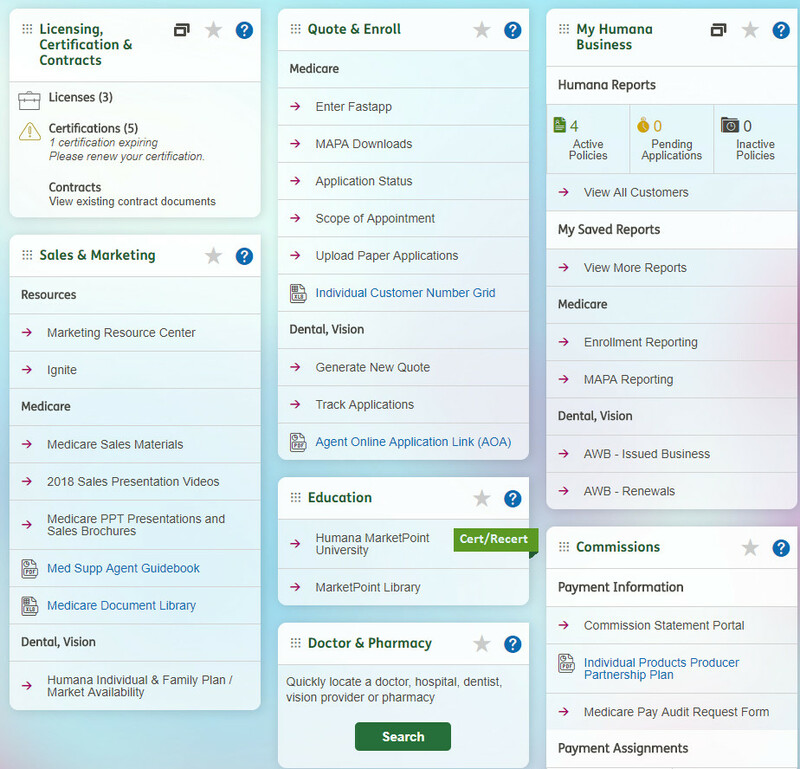 After you login to Humana’s agent portal, click on the “Humana MarketPoint University” button under the “Education” header that is pictured below (middle of the screen, towards the bottom). 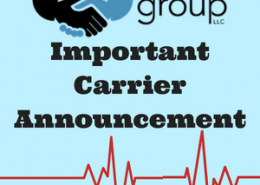 July 19th @ 2:00 PM PT/5:00 PM ET Join RB Insurance Group as we discuss Humana’s 2019 benefits and Expansion markets for their Medicare Advantage and Prescription Drug Plans. Click here to Register Now! 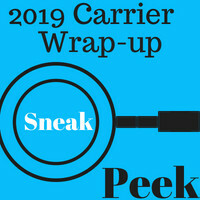 July 25th @ 9:00 AM PT/12:00 PM ET Join us as we discuss Aetna, Cigna, Humana, and United Healthcare’s 2019 First-Look benefits and Expansion markets that have been released to date. Click here to Register Now! Have you heard? RBI is giving ALL agents a $50 discount off of their 2019 AHIP certification, as well as the opportunity to be completely reimbursed! Click here for details on our 2019 AHIP Discount/Reimbursement program. But WAIT, there’s more! RB Insurance Group prides itself on the support we provide our agent partners. 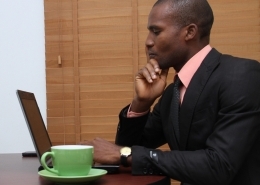 Read more about how your FMO should support you and your business goals!